Since the beginning of the year I’ve been editing Book Three in the Long Shadows Series. It is titled Future Hope. For family reasons progress has been slow but I made a few leaps forward last week and am now working on Chapter Nine which takes place in Amsterdam. As it is two years since the original writing for this chapter was done, it is no surprise that I made many changes – tightened the wording, eliminated repetition and found ways to show rather than tell. Amsterdam is the international headquarters of the fictional aid organisation with which Freya, the protagonist has been volunteering – Global Emergency Medical Aid (GEMA). Freya is back in Amsterdam, on a personal visit this time. 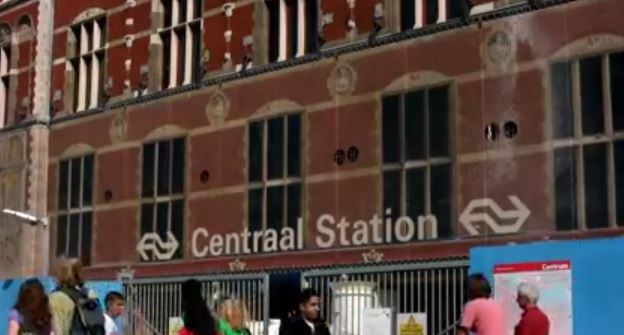 She waits in Centraal Station to meet Hanne, a university academic and long-time friend of her most recent employer in Australia. Freya’s stay with Hanne leads to two apparently innocuous encounters that will have unexpected outcomes – for Freya, her family and two friends. Could Fate be on Freya’s side at last? Freya followed Hanne along a corridor to her office, impressed by the strings of qualifications under the names on the doors and their impressive titles. Feeling awkward because of the Professor’s frank gaze on her face, Freya lowered her eyes and gently withdrew her hand from his over-long clasp. Then he simply said, “Pleased to meet you,” and moved on. Freya passed off the moment, reluctant to admit uneasiness with his scrutiny. Amsterdam is a vibrant place. I hope you enjoy the video which shows how people get around the city and offers passing views of the canals. I visited briefly a few years ago and would love to return to explore more fully. Our Writers Group meeting where we critique one chapter of each other’s work takes place on the first Friday of each month. It is always an interesting exercise but sometimes the breakthroughs are truly exciting. Today felt special. It was a delight to find that after a longish break the writing of one member was back to full-bore quality. The struggles she acknowledged with the effort to regain impetus and multiple rewrites paid off – they were not apparent to us. Although she is writing to an audience in another culture, having teens in her household authenticates the interactions between friends, acquaintances and genders in that age group. Every scene sparks. When she’s done, I predict the first agent or publisher to receive the manuscript will be sold straight away. And because of her daily lived experience her critique of another member’s chapter on teen misbehaviour was so penetrating. The rest of us, now distant from that involvement applauded the small tweaks she suggested that will shift a great chapter to an exceptional one. I am amazed at every meeting at how differently each of us sees segments of the stories and the mix of issues we pick up on – so valuable in representing the responses of a cross-section of readers. All of us wanted one author to add depth to anecdotes by incorporating more personal details about lead-in decisions, emotional reactions to events and interesting historical details to cajole readers to feel more involved. My chapter, about a quarter-way through the third book in The Long Shadows Series is set in wintry Edinburgh. I was grateful for all suggestions to increase the drama of a brother and sister interaction over a family mystery. Also important were promptings to refresh readers on carry-over details from previous books – such helpful reminders. The characters are so clear in my mind I sometimes forget that a new reader (or even someone who has read the previous material) might welcome a recap. Today’s specialness was the forward leap of the member who has been battling for several years to write the harrowing interpersonal memoir through the final stages of a sister’s terminal disease. After several years she has found the key and is now able to visit the emotional trauma of their experiences with such power and insight. It is wonderful work. Two members were unable to attend so that’s all for today. Exhilarated when we left. 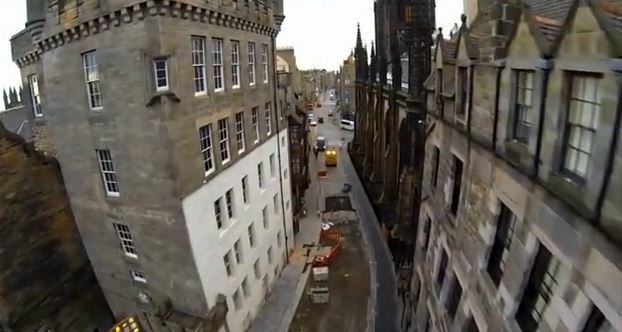 Do have a look at this wonderful video with aerial views of Edinburgh in early winter – music worth a listen as well. Nostalgic for me – I lived there while at Uni long ago. You can skip the ad if you want to. Enjoy.